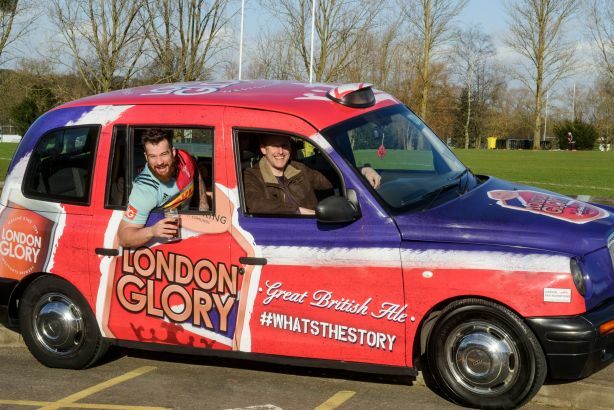 UK brewer Greene King has launched a year-long integrated campaign to promote its new, metropolitan-inspired ale, London Glory. The What's The Story campaign has been created by Popcorn PR. The campaign kicked off earlier in February with a branded taxi positioned at various locations in the city, including Queen Street, Spitalfields Market and The Stoop Stadium in Twickenham. Over three days, Londoners were invited into the taxi to tell their stories about their home city over a free pint of London Glory. The stories were then broadcast on Greene King’s social channels using the campaign's #whatstheStory hashtag – and Greene King has now rounded up the best into a new video published on Thursday (25 February). The three days culminated at the Harlequins vs Saints rugby union game at The Stoop, on 13 February. Across three days #whatstheStory reached more than 300,000 people to date and more than 5,000 people sampled London Glory. The campaign will continue over the coming weeks on social media, including stories from Harlequins rugby players. There will also be a series of prizes for consumers, including opportunities to share pints with Harlequins players.